Enjoy a relaxing and engaging spa experience with our exclusive collection of spas and hot tubs in Vancouver BC! Sporting impeccable craftsmanship, aesthetic allure and breathtaking designs, H2O Spas are the perfect combination of convenience and luxury. Contact us for an exclusive collection of personalized spas and hot tubs that are custom built for an aesthetic experience! Immerse yourself into a rejuvenating experience, let go of stress and transform your backyard into your own piece of paradise! 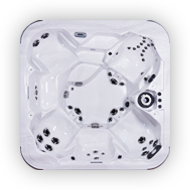 With customizable options and tons of features, H2O Spas and hot tubs are a premium choice for your home. We offer Canadian-built hot tubs and spas for everyone – be it couples, jet lovers or soakers. 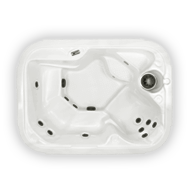 You can also go through our exclusive line of spas and hot tubs in Vancouver BC that are specifically built for recreation or therapeutic uses. 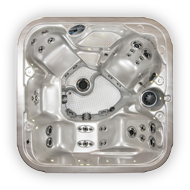 We also offer durable and large size spas that are custom designed for families. For those who prefer luxury at its best, the premium line spa is an ideal option! Exciting features of our premium spa line pamper and relax you from within and lighten your mood in an instant! Enhance your spa experience and immerse yourself into the depths of rejuvenating pleasure with our premium line of spas. Customizable, enjoyable and fitting in every budget, our traditional line of spas is an affordable option ideally suited for those who look for a more personal spa experience. Select options that you require in your hot tub and get ready to explore a relaxing and comfortable spa experience. The highlight of this line is the ergonomic seating comfort and a 40″ deep size. Discover true value in design, energy efficiency and performance with our exclusive value line spas. Popular because of the sheer functionality and state-of-the-art manufacturing, these spas are perfect for those who want quality and functionality.